Am sure many of you are still enjoying the etisalat free data. 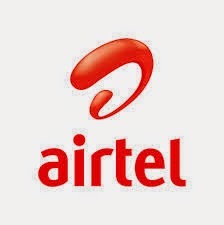 But today am going to be writing something for all my airtel users. For those who are new into tweaking of Imei, I will be explaining briefly how to go about it. >> Download and open imei analyzer or visit this website. >> paste the 12 digits you copied earlier and add two digits of your choice. >> If you are using imei analyzer then click on analyze to get the last digit. >> Now all what you have to do is to change the imei to the one you generated. >> Now send 3g to 141. If you don't know how to change your phone's imei then you can check out this link. That's all . if you have any question you can drop it in the comment box below.